OpenMarketNYC is a weekend-long celebration highlighting the district’s diversity of businesses with free events, exclusive tours, public art, in-store activities, installations and shopping discounts. Enjoy the savings for the latest in fashion/design, arts/culture, technology, and food/hospitality. 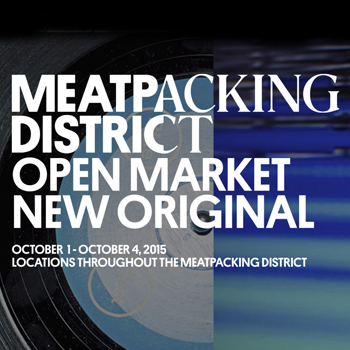 With this festival, the Meatpacking District is an open market for all to enjoy. Every neighborhood is starting to create their own festival. I love the fact that they have included art, culture, wellness, guided tours, and not-overpriced-celebrity-chef meals like some of the others – it appears to be more inclusive. If it can maintain this model, it will be a great addition to the NYC festival scene.